Thank you to Val Turner, Esk, Queensland, Australia, for allowing me to reproduce this photograph taken in her front garden, around 1945. 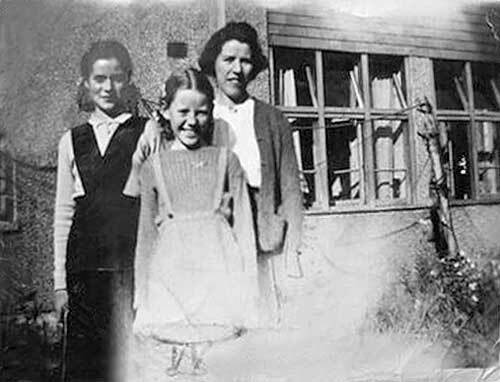 "Here is a photograph of myself in our front garden with Mum and my young sister Marjorie. I drew my sisters legs in, years ago, as they didn't come out in the photo!!"